Every few seconds, a family pet gets lost. In fact, 1 in 3 pets will go missing sometime in their lives. Most of these pets end up in municipal shelters, animal control facilities and humane societies across the United States. Tragically, most of these pets never make it back home because their owners didn’t microchip them. Developed by a veterinarian, the Avid® FriendChip™ is an effective and safe way to identify your pet. The FriendChip is a tiny microchip that fits through a hypodermic needle and is injected under the skin of your pet where it remains safely for life. 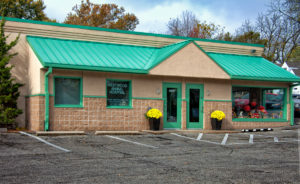 This inexpensive procedure can be done anytime and, best of all, protects virtually any pet you love: dogs, cats, horses, birds, reptiles, exotics, even fish! 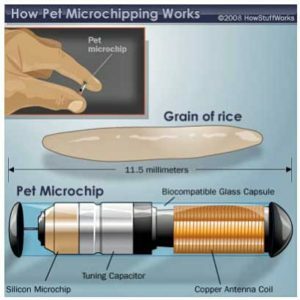 Microchipping your pet is the most safe and effective solution to permanently identify your pet. Once the procedure is complete and you enroll your pet in the PETtrac Recovery Service, your pet will have a permanent link back to you, the owner, via the PETtrac Recovery Network. This technology greatly improves your pet’s chances of being reunited with you, its owner. The Avid FriendChip has a 9 digit number that clearly tells the finder it’s an ‘Avid’ microchip. Once implanted, the Avid FriendChip provides proof of ownership that is virtually impossible to remove or alter. 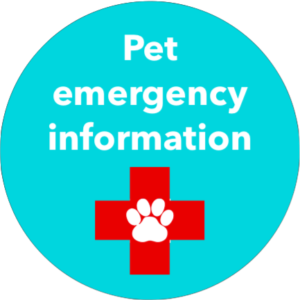 The Avid FriendChip is part of the Avid Pet Recovery System; it provides permanent identification for pets who become lost or displaced. The Avid FriendChip is a tiny, implantable microchip that is injected under your pet’s skin. The Avid FriendChip has no batteries and transmits a unique identification number when energized by a scanner’s electromagnetic field.